Thanks Joel Horton for presenting a great case! And thanks to Emery Lin for coming and dropping some awesome pearls. This is a young woman presenting with URI symptoms, nausea/ vomiting found to have influenza A and associated liver injury complicated by oliguric renal failure necessitating hemodialysis.
) LFT abnormalities can be classified as hepatocellular (transaminitis predominant), cholestatic (hyperbilirubinemia, elevated alk phos), isolated hyperbilirubinemia, isolated synthetic dysfunction (abnormal albumin, INR) and cirrhosis (generally combination of hyperbilirubinemia and synthetic dysfunction). Each has its own differential diagnosis. Here is an excellent video that summarizes the approach to abnormal LFTs.
) Effectiveness of the influenza vaccine is generally estimated based on this season’s Southern Hemisphere responsiveness, and this year’s report from the Australian Government Department of Health estimates only a 10% effectiveness against influenza A (H3N2), the predominant strain.
) Evaluation of LFTs in the 1000s include thinking about and testing the following etiologies: viral, drug-induced, autoimmune, vascular, and shock. See the following ACG guidelines for more on evaluation and management of LFT abnormalities. 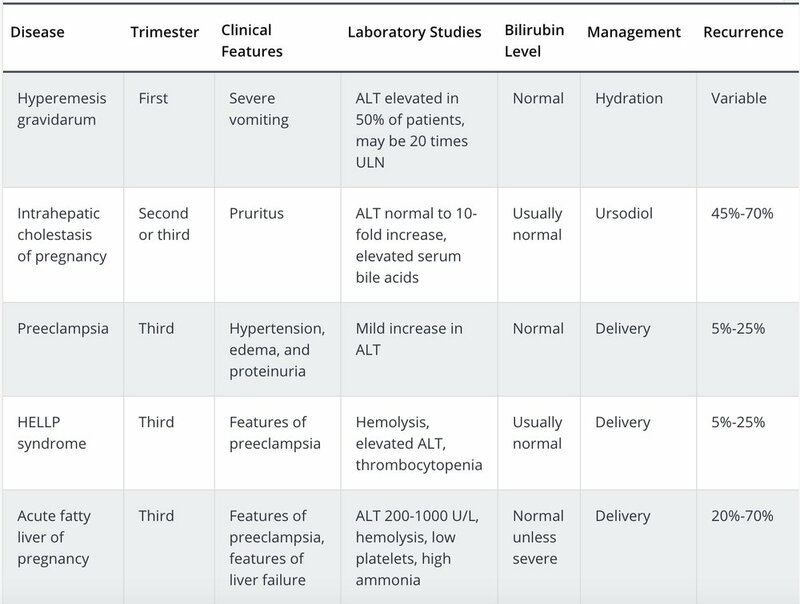 LFT abnormalities in pregnancy Although this patient was not pregnant, there is a differential to consider for LFT abnormalities in pregnant patients, largely stratified by trimester and presentation. Here is a MKSAP chart that compares the different diagnoses and how they present. Here is a great review article about liver disease in pregnancy from the journal Hepatology.